I know I have been slacking in the blogger world lately, and I'm very sorry about that! I have so much college work to focus on, especially as I have exams coming up next month. 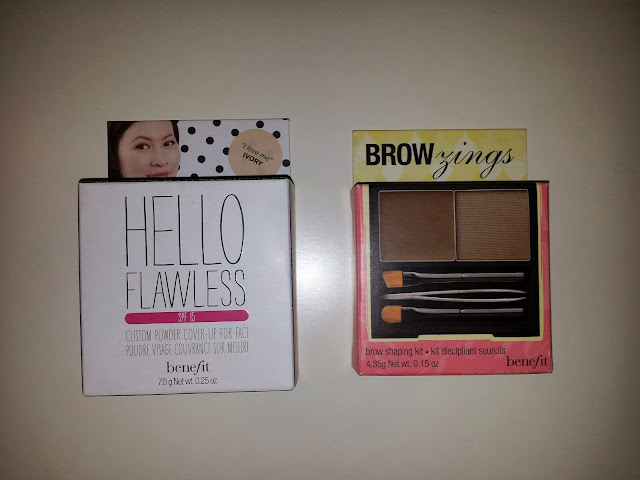 I recently purchased a couple of extravagant make up items from Benefit. It hurt my card to pay that much, however those items are so worth the money. Hello Flawless and Brow Zings. I needed a new professional pressed powder which would go well with my new MAC foundation. 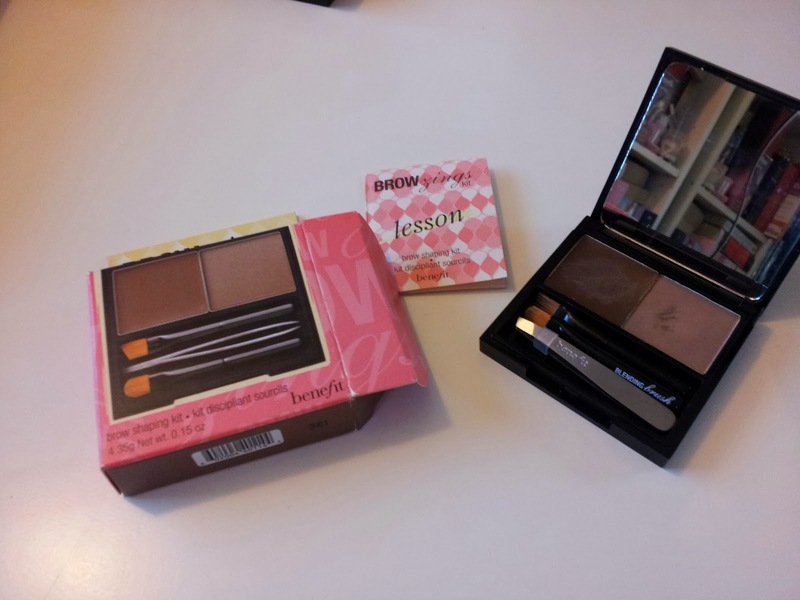 I was going to go to MAC originally, however I got side tracked by the benefit counter in Boots. I had my make up done by a lovely lady who worked there and decided to purchase this powder. I chose the ivory shade as my skin is very fair. 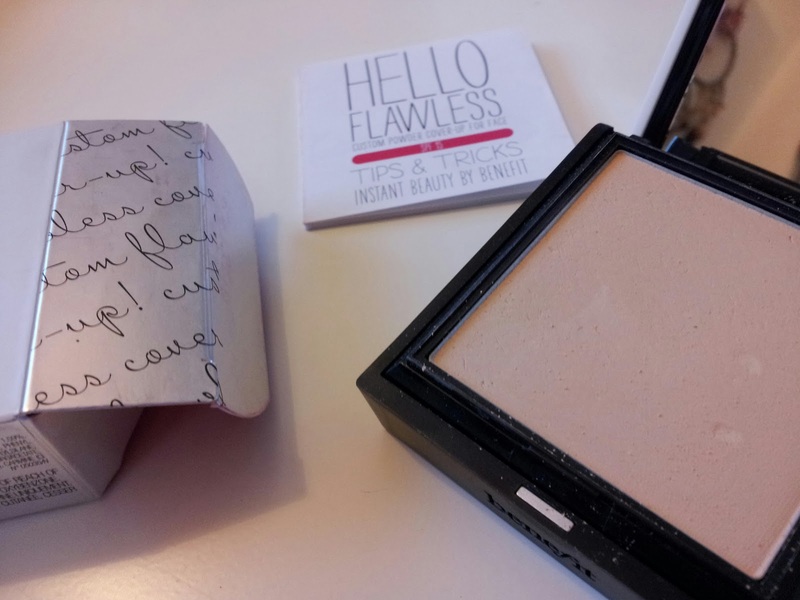 The texture of the powder is very smooth and feels like velvet after it's been applied onto the skin. It comes with a mirror, brush and a sponge and costs about £25.50 from what I can remember. I have always wanted to try benefits brow set, but could never get around to actually buying it as it is a little bit pricey. I spoke to the make up artist there and she asked if I wanted to try it on, so I thought 'why not?'. I applied the wax and then the powder onto my eyebrows and instantly fell in love with this product. I also got told that it lasts for about 2 years!! I couldn't be happier with an eyebrow product as I have tried many already. I chose this product in the light shade as I am blonde and do not wish for my eyebrows to be too dark as I thought it would look a bit funny. This is by far one of the best eyebrow sets ever at the price of £23.50. I hope this helps and will make up for me being a lazy git not posting enough this month!